Roma the so-called gypsies of Europe, Russia, America etc. are mainly the descendants of the Rajputs and Jatts of northern India who migrated to foreign lands during Muslim invasions of the India in 11th to 13th centuries A.D. In foreign lands they were victimised not only by Government but also by industrial and artisan guilds and the Church. They were forced to live a non- sedentary (Gypsy-like) life. Their language, Romani, has a Sanskrit base and is so much akin to the Punjabi language that it can be called dialect of Punjabi language developed outside India. They worship St. Sarah, the Europeanised form of Indian Goddess Durga. According to Durga Septashati, Sara is one of Durga's name "embodying everything in herself." I came in contact with the Roma in 1971 at the First World Romani Congress held in a village near London for fear of police. Since then I have been collecting material on the life, language and culture of the Roma in English, French, German, Russian Finish, Dutch, Japanese language by internationally reputed authors. Since 1974 I have been editing the Journal ROMA, the official organ of the World Romani Congress. A complete set of all the issues of the Journal Roma and also copies of the Journal of Gypsy Lore Society in English, Etudies Tsigenes in French and other journals in Romani, Finnish, ltallian etc., special issues of Illustrated weekly of India (English), Dharamyug (Hindi), containing my articles on Roma and framed photographs depicting the life and culture of the Roma, video cassettes and other visual material are also included. Last but not the least important is the mini idol of St. Sarah, the Goddess of the Fate of the Roma which is the Europeanised form of the Indian Goddess Durga. The material also includes gramophone records and compact disc of Romani music, slides on Roma, Tarot Cards, photo albums and official records of the four World Romani Congresses at London (1971) (secret session), Geneva in 1978, (Gottingen (Germany) in 1981 , Warsaw in 1990 and the International Roma Festivals held at Chandigarh in 1976 and 1983. Also included are my monumental works on the language and culture of Roma, viz., Multiple Romani Dictionary (with etymology from Sanskrit), Hindi, Russian and French and Romani-Punjabi-English Dictionary and Conversation Book published by the Punjab Language Department and "Roma - the Punjabi Emigrants in Europe, Russia and Americas etc." published by the Punjabi University, Patiala. This rare and precious material placed in proper almirah, show cases cannot be counted in money whatsoever. This Roma House and Museum already known all over the world has become a pilgrimage and a research centre for the Roma people and Scholars. Many have already visited this Museum-unique in the whole world having so much precious and rare material on the life, language and culture of the Roma in almost all important languages of the world. The idea to establish Roma House and Museum originated as early as 1980. On the initiative taken by Shri K.S. 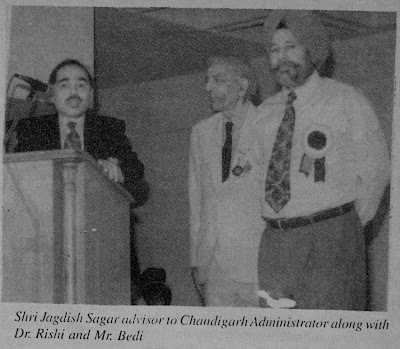 Narang, the then Chief Secretary, Government of Punjab, proposed to establish a village of Culture of Punjab in Chhat Bir in Punjab near Chandigarh. The Roma House was to be a part of this village. Unfortunately, after the retirement of Mr. Narang, the plan to build the Village of Culture of Punjab was scuttled and along with it the plan to build the Roma House also disappeared. In 1985 with the kind courtesy of Shri Arjan Singh, the then Government of Punjab, a 2-acre piece of land in Sector 24, Chandigarh was allotted for the construction of a Roma House and Museunr. As we were not able to make payment to the Chandigarh Administration, the plot was resumed by the Chandigarh Administration and with this the planned Roma House also disappeared. In the year 1990 requests were made to Shri V.P. Singh, the then Prime Minister and Choudhary Devi Lal, the Deputy Prime Minister of India to help us for the establishment of the Roma House. They did't bother even to acknowledge our letter making the request. The 2nd International Roma Festival held at Chandigarh in 1983 was inaugurated by Shrimati Indira Gandhi. Shri Rajiv Gandhi who was then a member of Parliament, was the Chief Guest and was accompanied by Shrimati Sonia Gandhi and his son Rahul. I requested Shrimati Indira Gandhi to help us in the establishment of the Roma House & Museum. She called Shri Rajiv Gandhi and asked him to see that all possible help is given for the establishment of the Roma House. Shri Rajiv Gandhi gave his word. I met Shri Rajiv Gandhi after the Festival and reminded him of the word given to Indira ji. I requested him to help us in getting the financial grant of Rs.S lacs from the Govt. of Punjab to enable us to make payment for the cost of land to Chandigarh Administration and implement our project after we secure the land. Shri Rajiv Gandhi promised to honour his word and deputed Shri Mani Shankar Aiyar, the then Joint Secretary in the Prime Minister's office to pursue the matter with the Punjab Government. Mr. Aiyar wrote to Mr'. S.S. Ray, the then Government of Punjab. Nothing came out and Shri Ray wriggled out from the scene saying in his speech at the inauguration of the nucleaus of Roma House in Shivalik School complex on lst July, 1989. He said that "Ony Rs.5 lacs have been asked for from the Punjab Govt. We have done nothing whatsoever up till now. Obviously, something has to be done. Money is short, won't it be a lovely idea if we could build a Roma village' a permanent Roma like and stay for a holiday and go back. After all they are the first non- resident Indians." He got a great applause from the audience and with the dying of the din the idea of doing anything also died. This was a great fest of the renowned politician and advocate to get out of an awkward positions. I met Shrimati Sonia Gandhi on 27th September, 1994 and requested her if she could give us financial help from Rajiv Gandhi Foundation to honour Rajiv's word given to Indirajit to help us in the establishment of the Roma House. I was informed that the Foundation was unable to extend any resistance and added "please understand that this is in no way a reflection on the merit of Your request." I had half an hour meeting with Shri Rao and presented to him a set of all my publications on Roma (very costly). Photographs were taken and he promised to t" do the needful. But nothing came out - not even a letter of regret. I have a very long association with Shri LK. Gujral-from the times when he was our Ambassador in the erstwhile Soviet Union. Shri Gujral is a person having an aptitude to help all and fulfill and the promises made' He has been very kind to us and has been lending his supporting hand to the Romani cause. In 1990 when he was the Minister of External Affairs, he granted three air passages to us to attend the 4th World Romani Congress in Poland. He contributed a historic message for our journal ROMA. This was Shri l.K Gujral as a person. So far so good. He became the Prime Minister of India on 2lst April, 1997. Judging from his previous record, we had high hopes from him. As Prime Minister of India he was bound in the chains of high security which rnade him quite helpless and inaccessible' In spite of my repeated requests he did not' rather could not, give a appointment to me' I also requested him to sanction a grant by the Ministry of Human Resource Development under their scheme for the Development of Museums in India under which they had alread;'' sanctioned a grant of Rs.75,000/- and released only Rs.18,750/- for the construction of a building in the accommodation provided by the Shivalik Public School. Further amount was not released because we had not building of our own. I got only acknowledgements to my letters to him and that too from officials working under him' No action was taken on our request for the grant asked for. Due to high security I was not able to meet him when he came to Chandigarh to open the City Museum. Even our request to him to pay a visit to the Nehru Roma House and Museum was also not acceded to "due to Pressure of time." Well, Shri l.K. Gujral was not now the previous Gujral and chapter of any help from him when he is no longer the Prime Ministry of India stands closed. 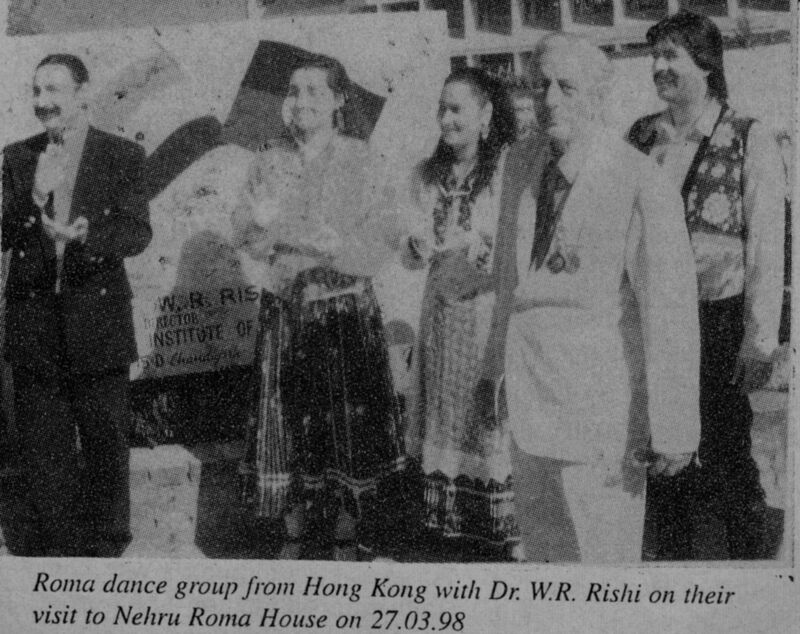 As Prime Minister of India he could have helped us in providing necessary funds for the Nehru Roma House and Museum That was not to be High grade security as Prime Minster diluted Shri Gujral's original personal traits. Nevertheless, we are able to preserve this rare and costly material for the prosperity. Thanks to the farsightedness and broadmindedness of one of the great educationist of our time, our old friend and patron of the Indian Institute of Romani Studies. Shri. D.S Bedi. Principal/Director of the Shivalik public School, Sector 4'1, Chandigarh. Cutting short school's own needs he has given us four room in the old building of the campus which we propose to make them look like a gypsy wagon and make it a model Romano Kher (Nehru Roma House and Museum). This work is going on a brisk pace and the Roma Hose of mY dreams will come up very soon. In the meantime, a dance troupe from Hungary visited India and gave two lively concert-one in the auditorium of the Shivalik Public School. They expressed their happiness at coming to India, their Baro Than (land of ancestors) and praised the great work which has been done. They also expressed their hope that this Roma House and Museum will do good to all the Roma in coming times. Mr. Jagdish Sagar, the Advisor to the Administrator expressed his sentiments. "l am happy to have made a long overdue visit to the Roma House and Chandigarh can be proud to to be the home to people like Mr. Rishi."